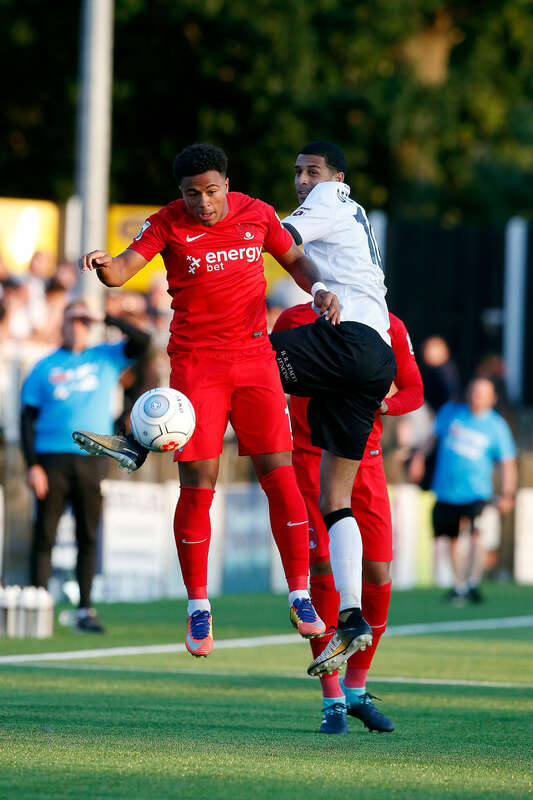 Leyton Orient suffered the humiliation of a major drubbing at the hands of Bromley as the Kent team smashed apart the O’s defence with a 6-1 victory in the National League on Tuesday night. 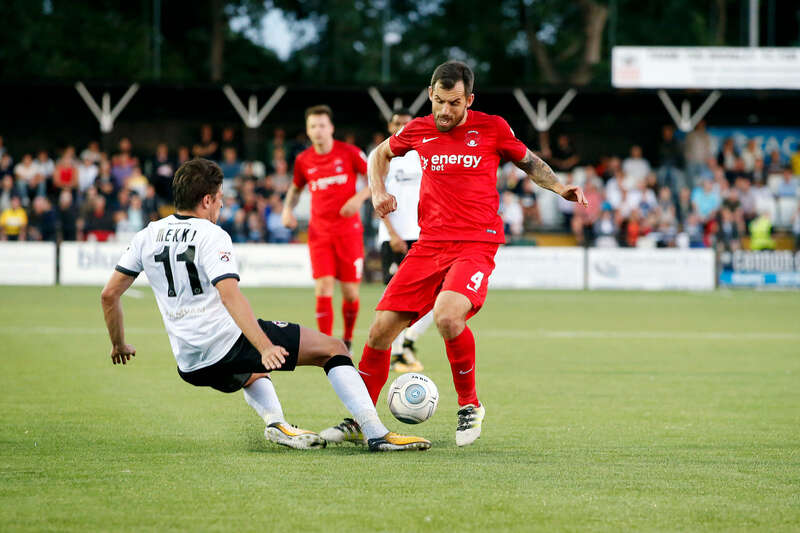 The O’s were outclassed, outplayed, second best and lethargic for much of the 90 minutes against their local neighbours before a cracking Tuesday night crowd of 3346 saw the home side decimate the Orient team with a display that puts Bromley up to fourth place. This was a poignant reminder of the dismal season that had finished in May with Orient sliding out of the league and Bromley proved to them just how difficult it is going to be in the National League. This was one heck of a thumping and fully deserved by the Kent outfit who tore Orient apart inflicting the away team with their biggest ever defeat in non league football and we are only four games into the campaign! Orient dropped from 4th position to 11th place however a 1-0 victory would have put them up to second place in the table. However although only 18 miles separates the two teams on the map the gulf in class between Bromley and Orient was evident right from the off. In the first ever meeting in a league match between the two teams the home crowd really got behind their team and they only had to wait 11 minutes for George Porter to open the scoring with a header that Charlie Grainger in the O’s goal had no chance of saving. A second from Jack Holland also a header from a Bromley corner six minutes before the break sent Bromley 2-0 up and fully deserved it was too. Manager Steve Davis obviously saw the problems and introduced both McAnuff and Dayton at the break in place of Boco and Koroma. Whatever was said in the Leyton Orient dressing room at half time the players obviously took no heed as Josh Rees added a third goal ten minutes into the second period and Louis Dennis who deserved Man Of The Match with some great work presented Adam Mekki the fourth on a platter for Bromley with 62 minutes on the clock. The possibility of a comeback however remote it might seem appeared a long shot as Orient pulled one back with Macauley Bonne notching five minutes later his first goal in an Orient shirt. Despite Macauley’s strike Bromley were hardly ‘home alone’ with the loud home contingent in fine voice and even Macauley Culkin wouldn’t have saved the day for the O’s. Bromley were like a dog with a bone and Orient were like a dog without a kennel as the home team tore further into Orient to the point of sheer embarrassment. Holland nabbed his second of the game and Bromley’s 5th with 15 minutes still to play. Just to rub salt into the O’s hugely gaping wounds, substitute Brett Williams lasered one in for Bromley’s sixth with just two minutes to go to send the away fans back to East London on the short journey along the A12 disappointed, disenchanted and disconsolate. This was an alarming wake up call for the O’s but to some degree was to be expected. Rome wasn’t built in a day and Leyton Orient football cannot be rebuilt in 6 weeks from the end of June despite the vast strides the management and boys behind the scene have done in a ridiculously short period of time. And boy do they still need to be applauded. Two wins and two draws at the start of this season leaves Orient mid table and as I wrote in my report following the Maidstone win on Saturday, consolidation I feel is the name of the game for this season. I thoroughly expect a position of somewhere between 10th and 14th at the end of the campaign and this could be regarded as a great success for the club. Anything above that can be seen as a ‘Brucie Bonus’. Unfortunately on the way of this great journey back into League football Orient fans may have to endeavour a few days like these. From tonight’s performance the defensive coach has his work cut out. Expect extra heading practise in training this week before the trip to Woking on Saturday. Stick with it Leyton Orient fans. Burning Reels is a game on fire!